1.Made from environmentally friendly materials polyester material which keeps the carrier鈥檚 shape well. Packs and ships flat for easy storage. 2. As a pet carrier front pack, take your pet everywhere, bikes, hikes, subways, shopping, motorcycles, skiing, dancing and so on. 3. Special design let your pet feel comfortable while keeping your hands free; this backpack also folds flat for easy storage. 4. Breathable mesh make dogs in the pet bag won't feel stuffy or uncomfortable. 5. Built-in traction clasp can button on the dog's collar that prevents your pet ran out of the pet carrier.6. 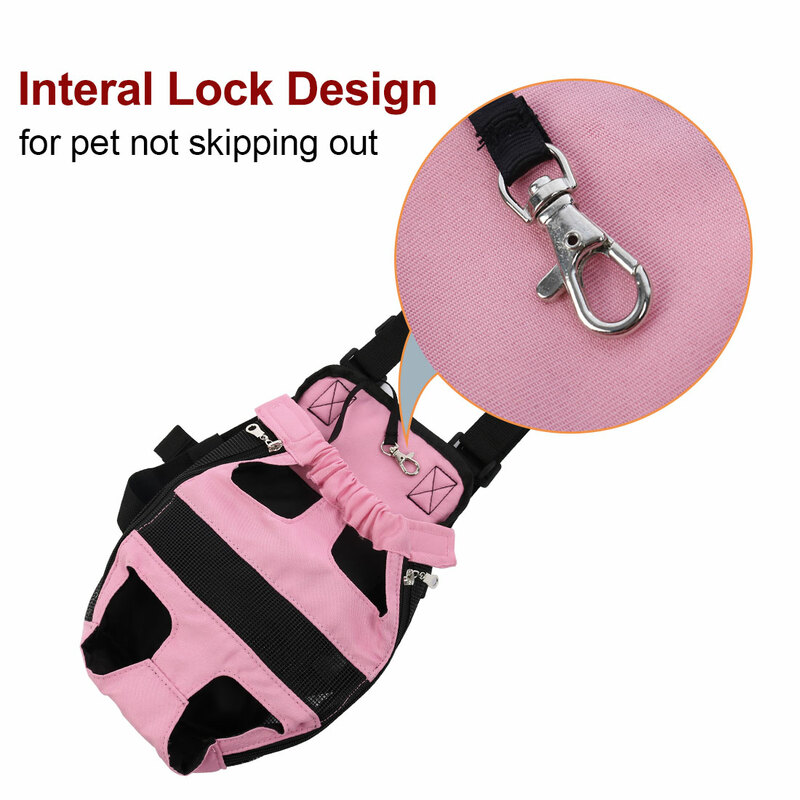 Go out with your pet to use this backpack will more convenient and more concise. 7. This bag is comfortable and breathable, sturdy and durable, can machine wash or hand wash.
1. Please check the product dimensions and measure your pet before buying. When choosing the size, please leave more 1-2 inch, or your pet may be uncomfortable. 2. Due to the light and screen difference, the item's color may be slightly different from the pictures. Please understand. Make sure you don't mind before you bid. 3.Size just for reference. Variability of 1-2cm is possible due to measurement process, please make sure you do not mind before you bid.